I don’t appreciate the word “soul.” Maybe because I was raised Catholic and it usually meant something greasy, evoking all this dirtiness and nausea that you could never be rid of. Maybe because I am tired of the idea of transcendence, of the desperate desire to remove ourselves from our bodies and the sensory world. But also maybe it’s just because the word doesn’t belong in poetry anymore. It had its time in the spotlight. Emily Dickinson sang it. But who needs a soul? Who wants a soul? This Halloween, I trick-or-treated. “But you’re like, thirty,” said my sister. She dripped red paint on a white gown she bought for five dollars and I put a fake parrot on my shoulder. Adults and children alike asked me if it was real and they weren’t joking. 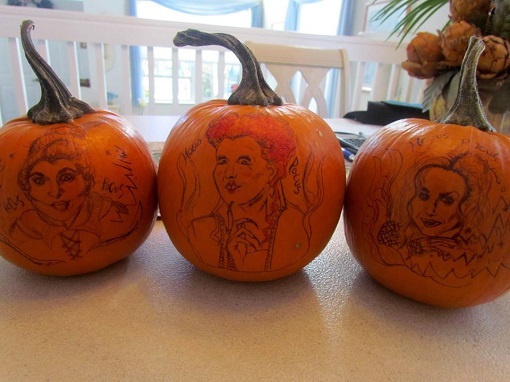 My sister turned pumpkins into the Sanderson sisters. I brought them to work and they won a prize. 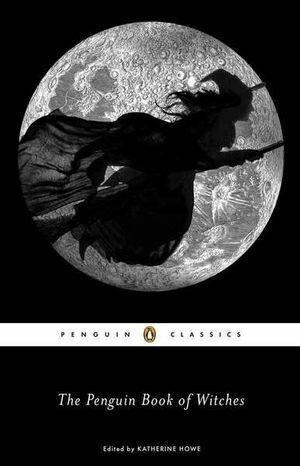 I read the Penguin Book of Witches, edited by Katherine Howe, which is a collection of historical accounts that detail the witch trials in America at the end of the 17th century. It was terrifying. Not because of the witches themselves of course, but because of all the condemnation. All the “evidence” that was presented to the court. How it was almost always middle-aged women who were poor and didn’t care for their era’s social norms or abiding by their village’s code of conduct. I sunk my teeth into those particular stories about the women who cackled in court, how they made fun of all the hysteria around them and remained steadfast in their innocence until they were brought to the gallows. November is already halfway through. The elections came and went. I did my part, but a lot of people my age didn’t. I wish they had. I was ill the day the results came in. When I was able to keep my food down again, I donated to the Human Rights Campaign. Maybe you should too. When I’m feeling stuck, I enjoy reading about all my friend’s creative outlets. Something you might not know: most of my friends actually aren’t writers. They often enjoy reading, but they don’t write like I do. Everyone has their thing though. I was freshly inspired after finishing my essay for The Rumpus and browsing through photo galleries of a friend’s soapmaking projects. I read more about DIY projects like this and fell through an internet rabbit hole. I stumbled across this piece on Rookie and now I suddenly want to experiment making my own perfume oils and fragrances. Something bottled and concocted. I want to name these potions specific things and add in fragments of rough emeralds or amethyst. I want to turn the kitchen into a heavy-scented apothecary. 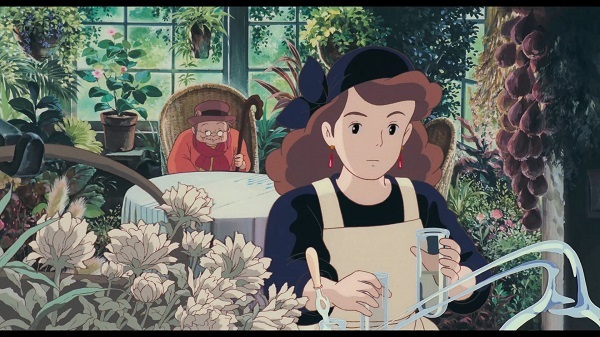 I want to be like the mom from Kiki’s Delivery Service. Lots of witchiness this year, or perhaps not enough. Maybe never enough. In response to the recent rejections I’ve accumulated, I’ve been sending out more and more submissions in flurries, before I even have time to process the sting that I figured would’ve dulled by now. But my soft parts haven’t numbed to it quite just yet. So far, this other technique seems to be working. 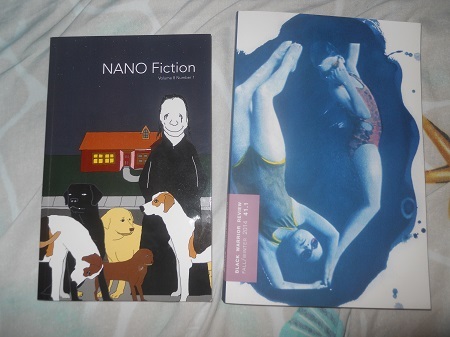 A friend asked: Why do you buy all these literary magazines that continue to reject you? My answer: Every writer is a masochist. We take pleasure in our pain. What else could it be? We don’t need a soul.